I have pondered over my first Blog post for many days now. Firstly, may I add – setting this site up has been a real learning curve for me. I am still perfecting things as you can probably tell! 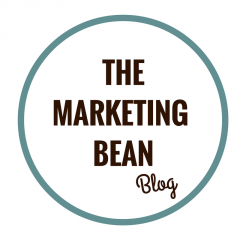 The real purpose of this Blog (as you can read here) is to simplify marketing for small businesses. Recently even I find myself in a world of ridiculous jargon, not to mention an over emphasis on digital and content. Just because many businesses are jumping on the digital bandwagon doesn’t mean you have to. Many marketers neglect the fact that the ultimate goal is to provide a solution to a problem. We are all recipients of totally irrelevant promotional blurb – in our inbox, through our doors and down the phone. So why does this happen? Simply, those businesses do not understand who they are marketing to. So lets take this right back to the fundamental principles of marketing. Firstly, you need to identify the problem. What actually is it that requires a solution? What is the purpose of the product or service? You need to think like the customer and brainstorm the real benefits you will deliver. Once you have identified the problem you can align the problem to the solution. How do you think you customers will feel when they resolve the problem they encounter? Brainstorm as much as you can, even if you are just jotting down keywords. Now identify what the customer looks like. Who are they? What do they do? Where are they? What does their daily life look like? You may identify several different buyer ‘personas’ through this process; this is great – write them all down. It may be really worthwhile to mock up a visuals of your customer groups, use stock images if necessary. I personally find pages of images better than pages of text. These steps should give you a great idea of the perfect candidate for your product or service. The benefit of knowing your customers inside out is that you can produce more relevant communications aimed specifically at those groups. I am finding more and more that businesses are neglecting these fundamentals to appeal to multiple customer segments, especially across digital platforms. Chucking random content out is not the answer. 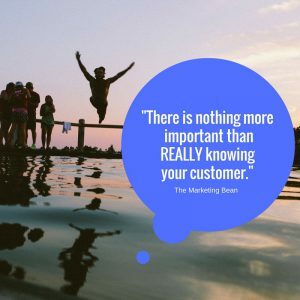 It is true that sometimes a ‘shot in the dark’ can pay off – but for those who really want to create an incredible experience, set themselves apart from the competition and add value to their brand, there is nothing more important than REALLY knowing your customer.